Brand creation, Strategy & Design. Rebrand, Marketing Strategy, Website Design & Development. TUX Auto are an automotive modifier based near Bradford, Leeds – working with enthusiasts and retailers to enhance their own or their customers’ vehicles with interior conversions and exterior body styling. The main area of business at this stage was the reselling of several ranges of aftermarket alloy wheels. Through their unique service, they offer elegance through to in-your-face notability. As manufacturers and distributors of several brands, they looked to Brave to help them define their proposition, creating a clear set of guidelines and identity. Each brand targeted a separate audience, but with no clear direction on how to engage, communication was mixed. There was already a website in existence, however, it was suffering from a lack of content, direction, and missed opportunity – if anyone arrived, there was an incomplete picture, meaning that the brands were failing to tell their story and engage with the target audience. This was much the same with their Social Media channels. If they were going to make an impact within this tough market sector, several things were needed; clear brand guidelines with an accompanying brand and marketing strategy! First things first, we looked at all the brands under the collective of TUX Auto and studied all past interactions. TUX (as it was called then) sat at the top, underneath came Riviera, Stuttgart, Concept One, and Klutch. The Riviera and Stuttgart ranges were the incarnations of TUX Auto. Concept One and Klutch were American brands – both of which TUX Auto were official UK distributors – as they were already established brands with a defined look and fee, they couldn’t/shouldn’t be touched. Defining the target audience for all brands gave us the foundation for the communication and branding strategy. We refined the identities and created the brand guidelines, providing clarity on how we should talk to their individual audiences. With that in place, the marketing strategy was formulated. Brave has supported TUX Auto with the development of a global, long-term strategy. Within that strategy, we have developed the TUX Auto brand from inception and we have also developed a number of sub-brands for a range of products under the TUX Auto umbrella. We now generate interest and loyalty to the brand with a well-executed website aligned with a strategic digital marketing campaign. Giving the impression of a company with ambition and desire, whilst projecting individuality was key. We needed to get these brands out there, to create a buzz….a talking point within the community. The basic premise was twofold; target customers and alloy wheel dealers. 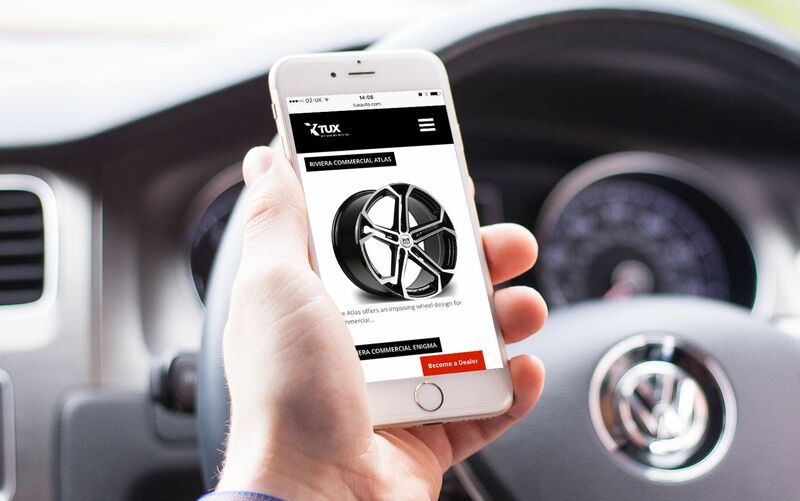 By targeting customers and creating a fuss to generate excitement, the customer would begin to ask their local or online dealer for the branded wheels. Targeting dealers would keep TUX Auto and it’s sub-brands at the forefront of their minds for when they were looking at new opportunities and when their customers asked for them. This strategy of lead generation would complement the TUX Auto sales team’s efforts. In order to carry out the above objectives, four avenues were identified; Social Media, SEO, PPC, and PR – getting them working in synergy with the planned marketing activities has involved our direct management and working with the TUX Auto team on an ongoing basis, every step of the way. By combining our social and PPC strategies, we have been able to increase the monthly amount of traffic for TUX Auto from less than 1,000 to well over 8,000. On top of this, the quality of the targeting has meant that there is a constant stream of conversions, with users looking for stockist details. 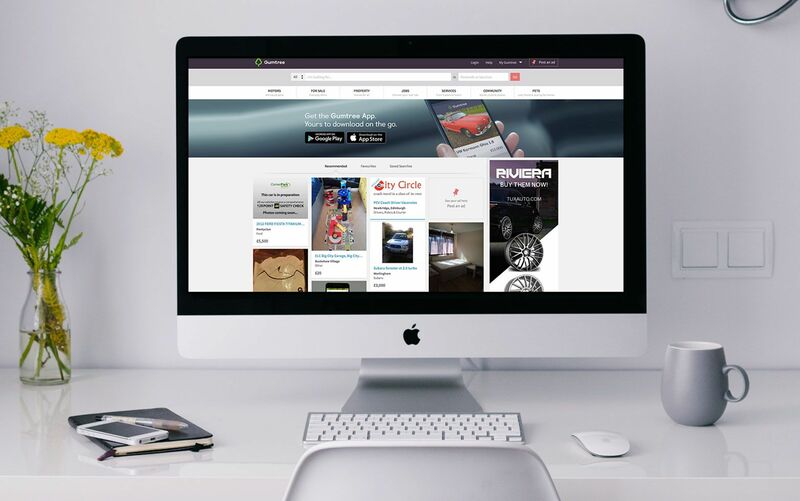 On average, this leads to over 400 people each month looking to find a stockist where they are able to purchase the alloy wheels that TUX Auto provide. With average click-through rates as high as 3%, and over 19 million impressions, the use of PPC in terms of brand building has been a resounding success. When looking at their social media profiles, specifically Facebook, we were tasked with building the audience they had so that their content would be seen by more people. This lead to a set of Facebook ad campaigns targeting Likes. Since beginning these, we have increased the Likes for their Riviera and Stuttgart pages by over 6,000 likes each and their Armytrix page by over 10,000..these figures continue to grow. This huge increase in audience across 5 months has lead to much higher engagement with the individual brands through social media. On top of this growth, we have created a total of 4 blog posts for TUX Auto each month, building up not only their audience but their content marketing strategy as well. 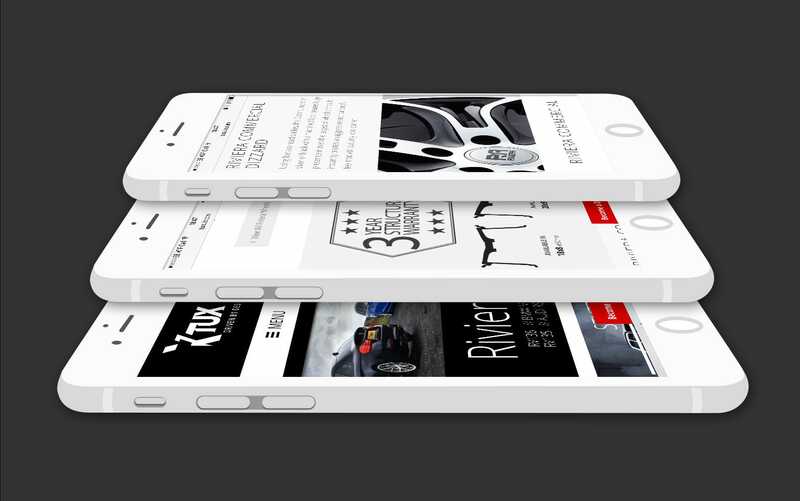 By providing rich content of a high quality, we have been able to build and increase the overall equity of the TUX Auto website, leading to improved search visibility and rankings.